SARATOGA SPRINGS, N.Y. (Oct. 9, 2018) — The Saratoga Automobile Museum (“SAM”) has announced that the Saratoga Auto Auction, in its second year and having taken place on Sept. 21 and 22, sold nearly $6 million in vehicles and automobile memorabilia. The auction serves as the museum’s major fundraiser for the year. Proceeds from the auction support the museum’s distracted driving safety initiative as well as overall museum programming. “The success of this auction is a huge win for the future of the museum’s initiatives, most notably our distracted driving safety program that no doubt has saved an untold number of casualties,” said Carly Connors, executive director. Total sales were $5.8 million. The sell-thru rate for the auction was 64 percent, a substantial increase year-over-year from the inaugural 2017 auction. The auction also increased its lots from 200 to nearly 300 from 2017. 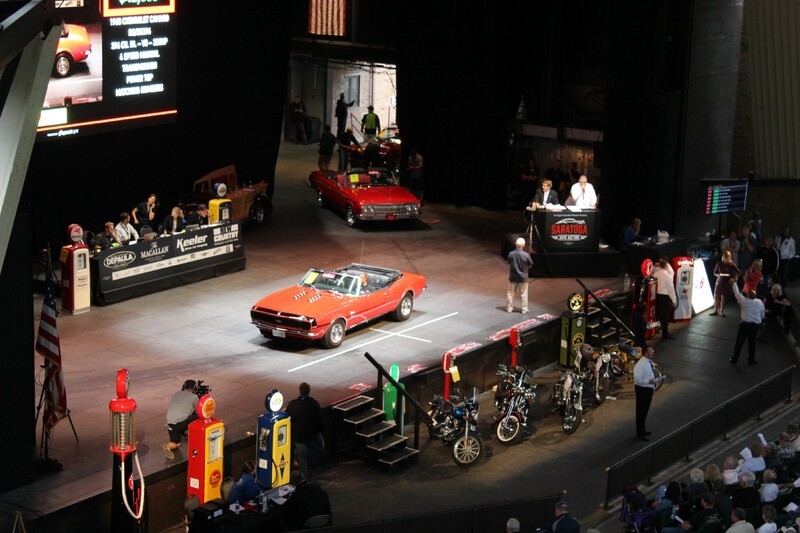 The 2019 Saratoga Auto Auction will take place on Sept. 20 and 21, 2019 at the Saratoga Performing Arts Center. To consign a vehicle for the 2019 auction, contact Jeff Whiteside at jeff.whiteside@saratogaautomuseum.org or by phone at (518) 587–1935 ext. 22. For more information about the Saratoga Automobile Museum, visit saratogaautomuseum.org. For more information about the Saratoga Auto Auction, visit saratogaautoauction.org.